Venini, designer Tomaso Buzzi, 1931/1935. 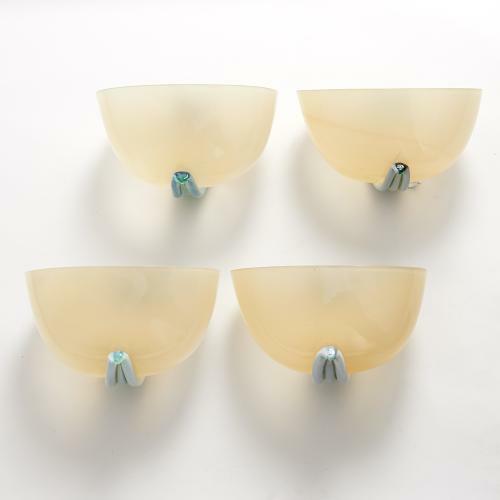 Four wall lights in yellow sandblasted glass with three seaweed glass straw applications. Brass frame inside.